“Children’s book?” I asked. 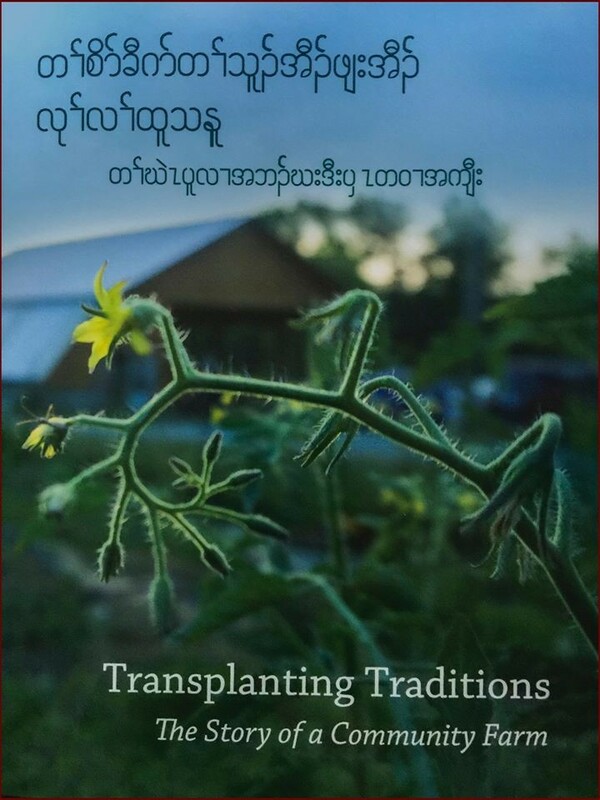 She explained that Frank Gallery’s Outreach and Education artists had been working with the Karen Youth Art Group to capture a sense of the Transplanting Traditions Farm where 35 Karen families, an ethnic minority from Burma, farm on land donated by the Land Conservancy. In a year and half, they had drawn, painted and photographed, but had no idea how to put a picture book together. A week later I met the nine talented young adults who created the work under the tutelage of artists Nerys Levy, Sandy Milroy, Hollie Taylor, Mary Stone Lamb and Dennis Szerszen, and Fran Hamer, a longtime volunteer with the Karen community. Many of these children had grown up in refugee camps in Thailand after their parents fled war in Burma. All of them were still adapting to life in the United States. Levy, who led the project, explained that in the camps the children didn’t have TVs or computers. “They sat and drew what they saw and developed a capacity for seeing and design which is unrivaled in many students in this country.” In her mind, a book would draw on the children’s inherent skills and create a work they could be proud of. How could I find a plot line to connect all their work? I looked at hundreds of photographs, lots of art work, and free-floated in the creative juices and conversations that surrounded me. 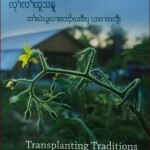 The book is available for purchase at Flyleaf Books, Transplanting Traditions Farm and through FRANK Gallery (http://www.frankisart.com/transplanting-traditions/). This is a beautiful and educational book. Love it. Love the content and illustrations! To have the love of culture pour out through the pages is inspiring for all. I was just going to email you Sharon Hale…loved sharing time and the book with you. So glad you love it!